308 BMX respects your privacy on the Internet. As part of our company operations, we gather certain types of information about our contacts, and we would like to explain the types of information we assemble, what we do with it and how to correct or change your information. A cookie is a small amount of data that is sent to your browser from a Web server and stored on your computer’s hard drive. By modifying your browser preferences, you have the choice to accept all cookies, or be notified when a cookie is set, or to reject all cookies. 308 BMX will access only those cookies that we have generated. 308 BMX will not sell or release identifiable visitor information to any third party without your permission and will limit disclosure of information to the following, where we believe in good faith that it is required to do so in response to a Subpoena or other legal process; where reasonably required to do so in order to maintain, update or otherwise implement 308 BMX data security measures, equipment, technical operations, etc. 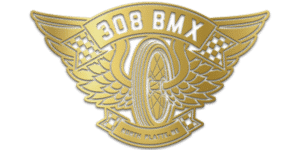 ; or where reasonably necessary to identify, contact or bring legal action against persons or entities to preserve and/or enforce 308 BMX’s rights. 308 BMX makes all efforts to protect the confidentiality of all visitors and will never knowingly allow access to this information by any third party. We have made a significant investment in our server, database, backup and firewall technologies to protect information assets. These technologies have been installed as part of a complex security architecture and protocol. Uses 308 BMX uses visitor information to deliver promotions and to monitor, analyze and report campaign results internally. This data is in a non-personally identifiable aggregate form designed to analyze general trends and usage patterns. Policy Changes 308 BMX reserves the right to change this policy at any time. Please check this page periodically for changes. Your continued participation in 308 BMX offers following the posting of changes to these terms will mean that you accept those changes. This statement and the policies outlined herein are not intended to and do not create any contractual or other legal rights in or on behalf of any party.